July 1 , by Mardi Robyn. These friendship bracelets are similar to tutorials I have featured in posts over the past few weeks. 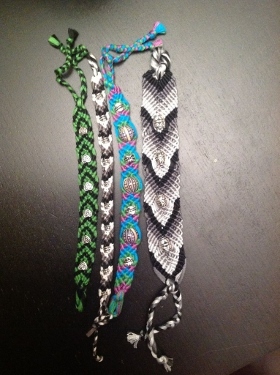 However these friendship bracelets have a neat twist to them. In this tutorial Carol shows how some bead and knots can dress up a standard friendship bracelet. Check it out and see how to make your own Beads and Knots Friendship Bracelet.